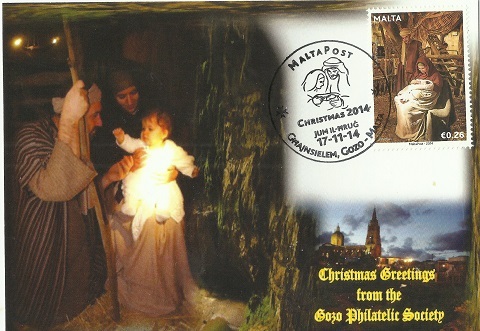 The christmas stamp set for 2014, depicting some scenes from the live crib scenes in Gozo - Bethlehem f'Għajnsielem. 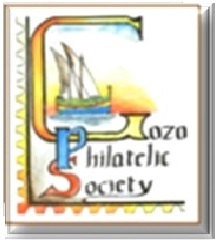 As this has a connection with Gozo, the Gozo Philatelic Society issued a special card. This year's 15th edition of the Gozo Philatelic Exhibition, organised annually by the Gozo Philatelic Society, was opened from the 14th to the 21st of November, with the theme this year being "Maltese Anniversaries and Commemorations". The exhibition is taking place at the Gozo Ministry Halls in St. Francis Square, Victoria. Aiming to encourage philately, the participation of the general public is free of charge. The exhibition will be open during office hours. Various philatelic categories is featuring during the exhibition which are Postal History, Social Philately, Traditional and Junior Sections. The display includes antique and rare philatelic material and professional exhibits. MaltaPost is taking part in the exhibition and a special postmark was issued for the occasion on the 14th of November. The programme also included the relaunch of www.stamps-gozo.org under new webmaster John Luke Debrincat. For more information please contact us by sending an email to secretary@stamps-gozo.org. 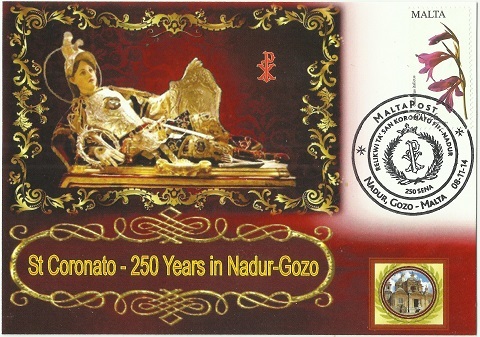 For the occasion of the 250th anniversary of the arrival of the statue of St. Coronato in Nadur, MaltaPost issued a commemorative hand stamp which was used on Saturday 8th November, 2014 at the Nadur Gozo Post Office. 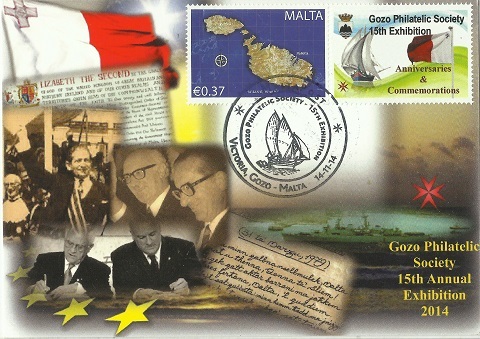 To mark this occasion, the Gozo Philatelic Society issued a commemorative postcard.